Lecrae, Skillet, Crowder, and Switchfoot will help ring in 2018 at Liberty University for Winterfest 2017 on Dec. 30 and 31, along with top speakers and performers who will welcome thousands to campus for the largest Christian New Year’s party on the East Coast. 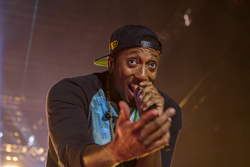 Grammy award winning artist Lecrae performs at Winterfest 2014. Lecrae, Skillet, Crowder, and Switchfoot will help ring in 2018 at Liberty University for this year's Winterfest on Dec. 30 and 31, along with top speakers and performers who will welcome thousands to campus for the largest Christian New Year’s party on the East Coast. Other acts include Hollyn, Zach Williams, comedian John Crist, and illusionist Justin Flom. Crowder and Hollyn both performed at last year’s Winterfest. In addition to the on-stage performances, guests can also attend Q&As with the artists. Winterfest attendees can also take in a variety of recreational activities while on Liberty’s campus. They can go swimming, rock climbing, and ice skating, as well as skiing, tubing, and snowboarding at the L iberty Mountain Snowflex Centre. Though it’s a time of fun, the event still has a spiritual focus. Each year, hundreds have responded to the Gospel. This year, the theme will be “Out of the Ashes,” emphasizing a focus on coming anew in your relationship with Christ. Pre-sale tickets are on sale, starting today, and will be available through July 13. Customers can save $5 on upper reserved and lower reserved tickets. Prices will increase starting at 10 a.m. on July 14. For more information, visit Liberty.edu/Winterfest. 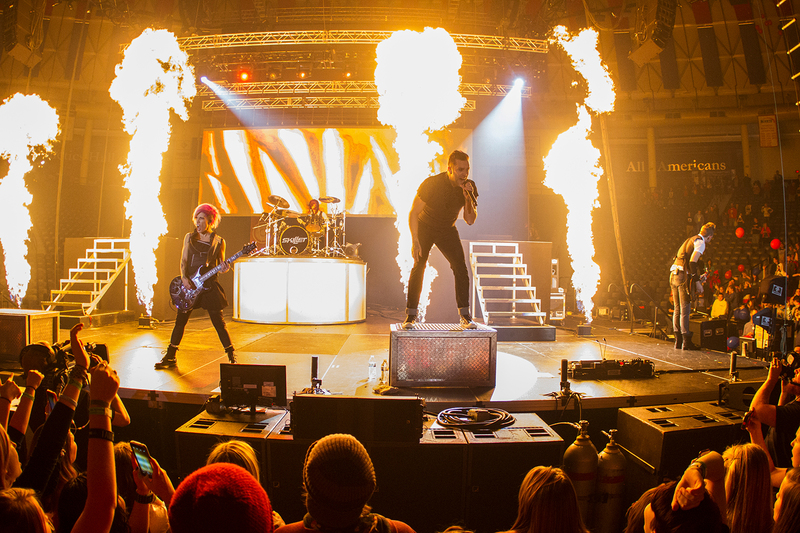 Skillet performs at Winterfest 2014.